We will be visiting Dragonfly Bindery/Studio on February 24 at 2pm. George and Patricia Sargent have been restoring books and paper as well as making fine leather bindings and presentation boxes for 36 years. These RISD Alumni and Bartlett Society Members’ creativity and talent shines in their unique book bindings. 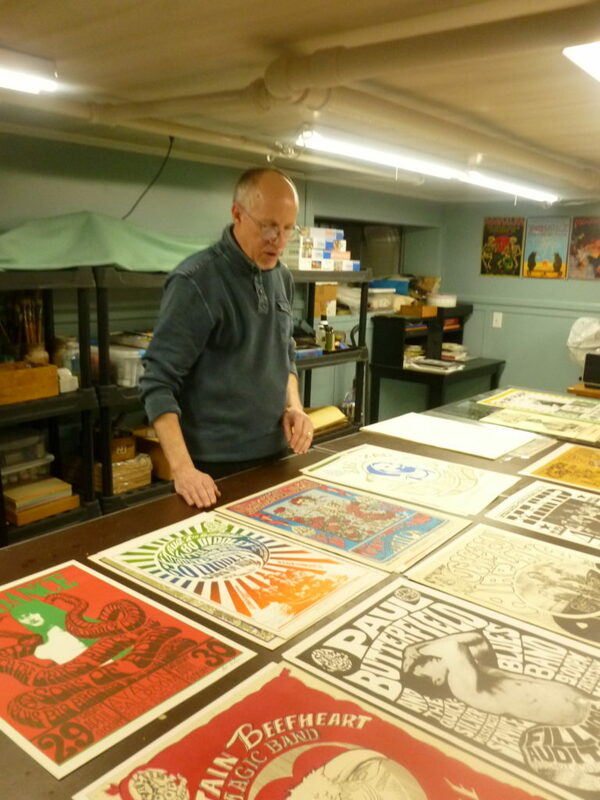 We will also be looking at rock posters and discussing the relationship of poster art with the book world.